Authors are invited to submit 250-300 word abstracts related to the topics listed in the conference theme. 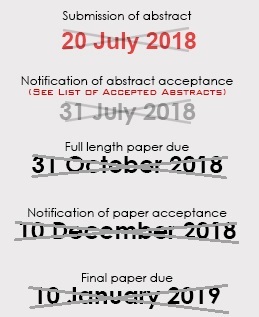 Abstract and full length paper can be submitted through the following links. The guidelines for preparing the papers also available on the SACEE website. All Papers should be original and not published elsewhere. The official language of the conference is English. Selected papers shall be published in Journal of Structural Mechanics, NED University Journal of Research.